Whether for a business or an individual, dealing with the requirements of federal, state, and local taxing authorities can be a difficult and often frustrating challenge. Tax statues are voluminous and constantly changing. As an owner building a business, or an individual managing a family's financial portfolio, it is impossible for you to understand every provision, avoid every pitfall, or take advantage of every opportunity the tax laws may provide. That is where Trout, Ebersole & Groff, LLP can help! Our experienced professional staff understands tax and compliance regulations so that you don't have to. 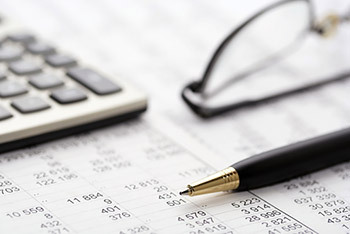 We advise our clients of important changes in tax laws before they occur. We make certain our clients are aware of and meet all filing deadlines with time to spare. Most importantly, we help our clients formulate plans to minimize tax burdens and profit from tax advantages. The partners and staff at Trout, Ebersole & Groff, LLP include some of our area's foremost experts in corporate and personal income taxes, multi-state filing requirements, sales and use taxation, taxation of estates, and audit representation. We know you don't have the time to address and to plan for every tax issue your business or investment strategies may encounter. We do! Let us provide you with the tax expertise and support you need to grow your business and to increase your family's wealth. For additional information about our Tax Planning & Preparation Services, please click the button below to start a conversation with us.